For the first time ever, Richmond United was selected for one of the Featured Games during the upcoming 2018 Development Academy Winter Showcase in Lakewood Ranch, Florida. 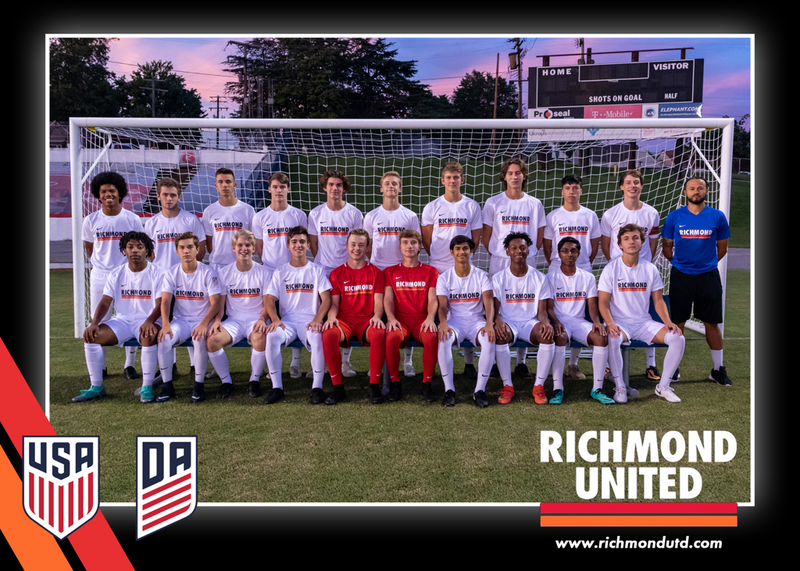 Richmond United’s U19 team was selected for a variety of reasons, including embodying the Academy ideals, upholding Academy standards and philosophies as well as the quality of soccer that the team will showcase during the event. Richmond United’s U19 team is undefeated this season and holds a 5-0-4 record. They are currently sitting in second position in the Atlantic Division behind Philadelphia Union and in front of MLS powerhouses New York Red Bulls and DC United. Richmond United U19s will play Sacramento Republic FC U19 on Thursday, November 29th, at 11:00 am. All five Featured Games will be streamed live via U.S. Soccer’s official websites and social media platforms. As part of the Showcase, U.S. Soccer will host the Nike International Friendlies for the U17 Men’s National Team and for the U20 Women’s National Team. The schedule for those games can be found on the U.S. Soccer website.